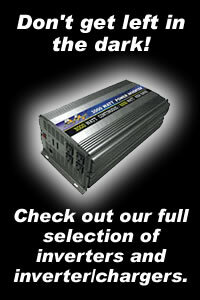 Xpressbatteries.com is pleased to be the only authorized United States distributor for Mastersafe by Ritar Battery Company. Ritar battery has been producing many OEM and aftermarket brands for the past seven years. With reliability and consistency as their standards, Ritar battery has been meeting and exceeding all OEM applications for their products. With AGM and GEL products available, Mastersafe becomes one of the largest product lines we offer. Proven reliability at a great price-a great combination! Mastersafe RA Series ranges in sizes from 33ah to 240ah. Built with AGM/Gel combination or just Gel batteries, the Ritar RA series is excellent for telecommunications, solar, and UPS applications. Mastersafe RT Series ranges in sizes from 1.3ah to 26ah, with both 6 and 12 volt batteries available. Ritar RA series AGM batteries are perfect for all small UPS, alarm, and portable power applications.